Waterloo Cedar Falls & Northern Railway parlor car No. 102 at the Cedar Rapids Station ready to depart for Waterloo 60 miles away. A favorite of railfans and well worth the pre-interstate highway drive from Cleveland. Photo by Anthony F. Krisak taken in 1947. Anthony F. Krisak and Bro. Bernard Polinak, S.J. were friends that occasionally travelled together in pursuit of their railroad interest. 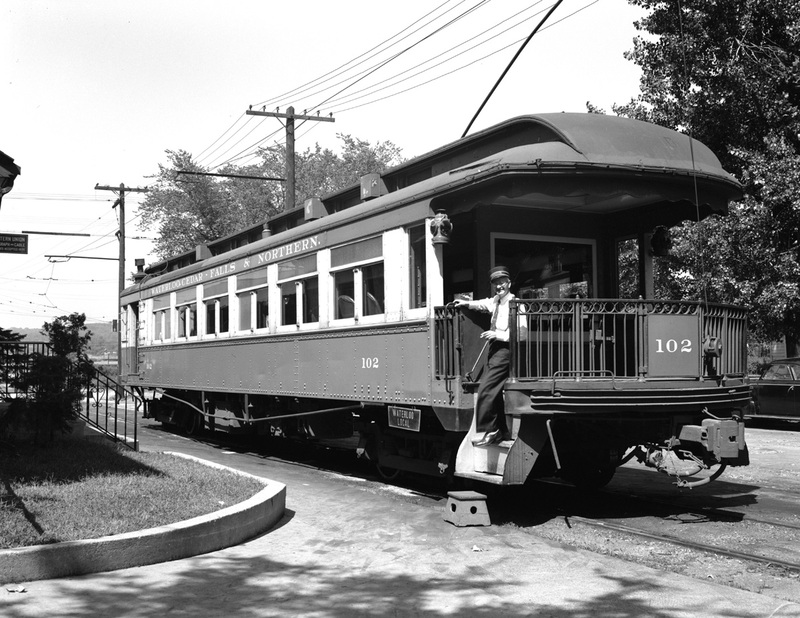 Krisak was a motorman on the Shaker Heights Rapid Transit in Cleveland and Bro. Polinak belonged to a religious order in Cleveland. 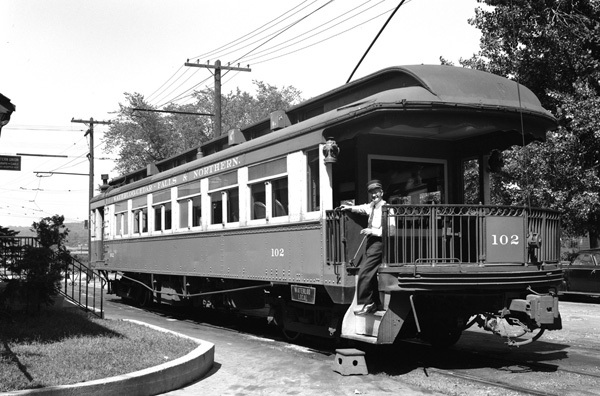 To visit an authentic mid-west interurban in the late 1940s and early 1950s railfans would head for Iowa where traction was unchanged from an earlier time. This trip would take them to Waterloo and Cedar Rapids to visit the Waterloo Cedar Falls and Northern Railway and to Des Moines to see the Des Moines & Central Iowa Railroad. Their 1947 Iowa trip photos are found on the left.